The war in Afghanistan spanned the tenures of three prime ministers, and cost the lives of 453 British service personnel and thousands of Afghans. What was accomplished after 13 years of conflict, which included eight years of heavy fighting in Helmand, still remains open to debate. Following the September 11 terrorist attacks in America, Britain deployed to Afghanistan with the US and other allies to destroy al-Qaeda, and the Taleban that had backed them. 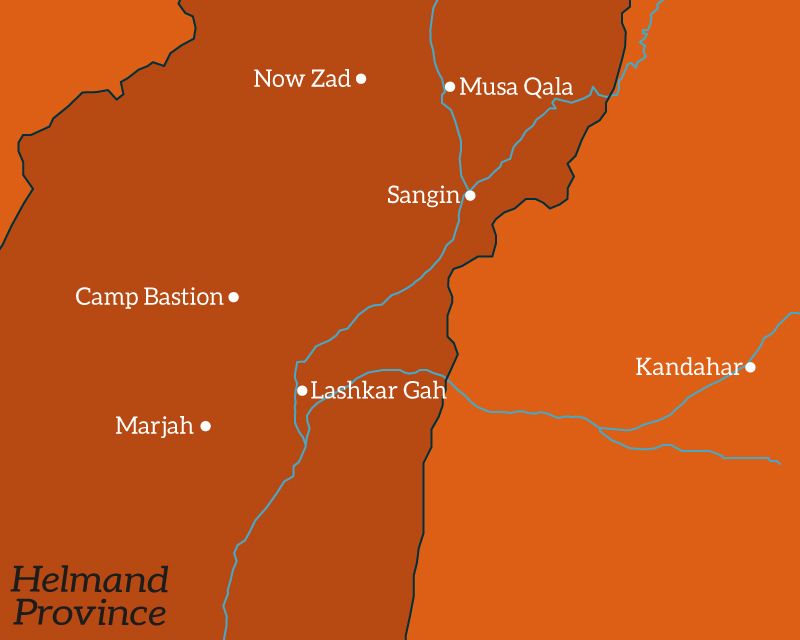 The Taleban’s last stronghold was captured on 7 December. An interim government was declared. In 2001, the North Atlantic Treaty Organisation (Nato) created the International Security Assistance Force (ISAF), backed by the United Nations (UN). Their initial role was to secure Kabul, the Afghan capital. By April 2002 there were 1,700 British soldiers working alongside other NATO allies. In 2003 the UK deployed Provincial Reconstruction Teams (PRT) in the north of Afghanistan. By March 2004 the British also provided the bulk of a Quick Reaction Force based at Mazar-e-Sharif. But the security situation was deteriorating. A reorganised Taleban began copying the terror tactics of Iraqi insurgents. In January 2004, Private Jonathan Kitulagoda became the first British soldier killed in a combat role when a suicide bomber detonated his device next to his vehicle. 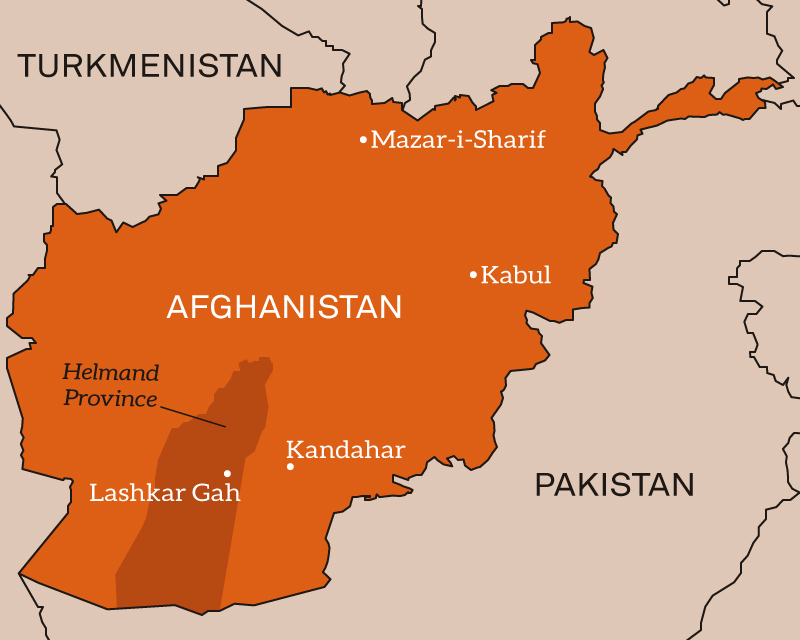 In April 2006, the British redeployed in strength, focusing on Helmand Province in the south. Over 3,000 troops were sent to help with reconstruction efforts. They operated out of Camp Bastion, a specially built base in the desert near the provincial capital, Lashkar Gah. But operations were far more intense than expected, and British soldiers were drawn into heavy firefights in towns like Musa Qala and Sangin. The British participated in the largest joint offensive to date in Helmand. Over 15,000 allied and Afghan troops attacked Marjah, a town which was controlled by the Taleban and by drug traffickers. On 2 May 2011, US Special Forces killed al-Qaeda leader Osama bin Laden. On 6 July, British Prime Minister David Cameron announced the withdrawal of 500 British troops, cutting total numbers to 9,000 by September 2012. He also signalled his intention to end all British combat missions in Afghanistan by December 2014. The British combat mission ended with the handover of Camp Bastion to Afghan forces on 26 October 2014. British troops have remained in Afghanistan since in a training and advisory role based in Kabul and Helmand. The war in Afghanistan sucked in enormous resources. What was planned as a short-term reconstruction mission turned into a full-blown war. At its peak, there were 137 UK bases and around 9,500 British troops in Helmand Province alone. Camp Bastion grew to the size of Reading. Its perimeter wall was more than 20 miles long. Its 2.2-mile runway was used to ferry troops and supplies in and out - along with casualties. At the height of the fighting, there were more than 600 flights a day. The legacy of the British campaign is harder to determine. British strategy was never clear. Operations to clear the towns of Helmand of insurgents were mixed with the efforts of the Provincial Reconstruction Teams to develop Helmand’s economic infrastructure. Schools, hospitals, roads, reservoirs and power generation aimed to help the Afghans become economically invested in stability. Agricultural projects also became a priority in order to persuade farmers to grow alternatives to opium. But the fighting remained heavy, despite large-scale operations designed to drive the insurgents out of Helmand. Public opinion in the UK increasingly turned against the war. The British began to invest heavily in the training and mentoring of the Afghan National Army and Afghan National Police, so that they would take more responsibility for the security situation in Helmand and the country as a whole. But what was the result? The war in Afghanistan cost the lives of 454 British servicemen and women, exceeding the death toll of the Falklands War in 1982. Total deaths of coalition forces (Britain, USA and allies) totalled 3,486. A further estimated 2,000 British military and civilian personnel were wounded in action. 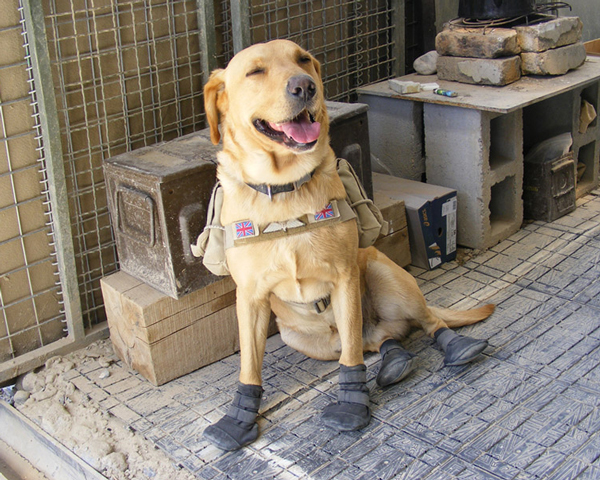 Improvised Explosive Devices (IED) were a constant threat to troops in Afghanistan. They killed 224 British soldiers, accounting for almost half of all British deaths there. 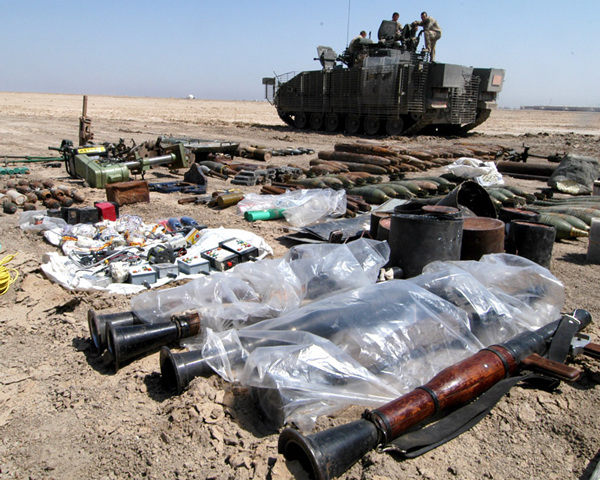 IEDs were made from a variety of ordinary materials that were hard to detect. As a result, they were particularly deadly to soldiers on foot patrol and transport convoys. Towards the end of the war, British personnel were responsible for training Afghan troops to locate and render IEDs safe. 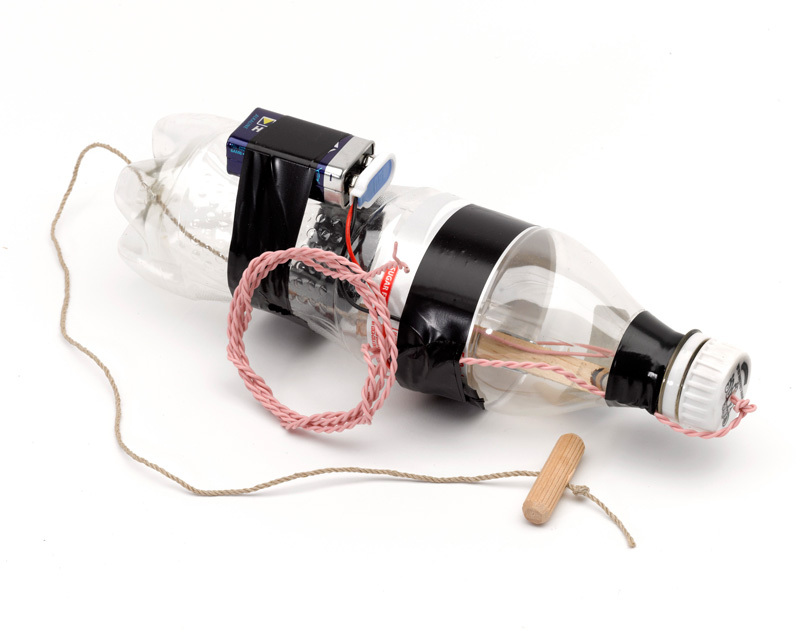 Replica weapons, like the bottle above, were used in training tasks to help Afghan disposal teams develop their abilities. Financially the war in Afghanistan cost the UK at least £37 billion - roughly £2,000 per household. 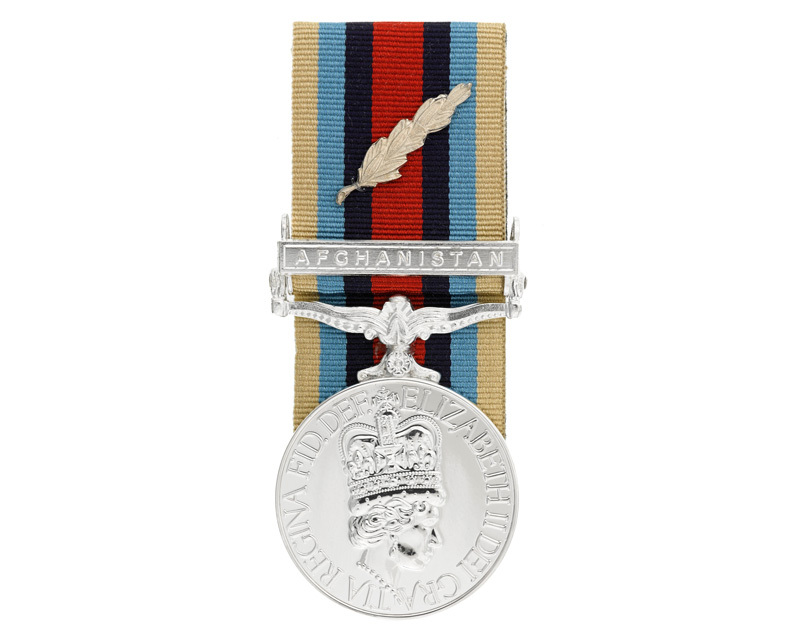 In 2003, the British Army introduced an Operational Service Medal for personnel who served in Afghanistan since 2001. It is still awarded to troops advising in Helmand. Explore more objects from the War in Afghanistan in the National Army Museum's collections.